This past year I had my DNA tested. I have over 45,000 names in my family tree and have done extensive research on my family including going to the villages of my root families in France and the UK. I have traced my family on my fathers side (France/Germany) and mothers side (the UK), both back to the 1600’s. But, as it is, you get so many pieces of DNA from your father and from your mother, who in turn got pieces from their mothers and fathers, ect….. My DNA determined, that a big part of me, (43%) is Western European, specifically from France, Germany and Switzerland. I am (15%) Scandinavian, specifically from Norway and Sweden. and (12%) from Great Britain…. I thought that was extremely low since that figures so much into my family tree and where I have done so much research. But, my biggest surprise was the (28%) Irish! I could find only one family in my family tree with actual Irish descent! Maybe that explains my love of story telling and writing! So here is a photo of me in front of the Gallarus Oratory in Ireland! The Gallarus Oratory name is interpreted as either “rocky headland” or “house or shelter for foreigners,” and is a chapel located on the Dingle Peninsula, County Kerry, Ireland. It has been determined to be an early Christian stone church by its discoverer, antiquary, Charles Smith, in 1756. In 1970, archaeologist Peter Harbison, determined it was a a 12th-century Romanesque church, and in 1994 it was determined to be a shelter for pilgrims. The local tradition prevalent at the time of the oratory’s discovery attributed it to one Griffith More, being a funerary chapel built by him or his family at their burial place. I am glad to see the oratory was a combination of its roots too! Home is Where One Starts From! Let’s start in Ireland! The English judge and jurist Sir Edward Coke (pronounced cook) declared in a ruling known as Semayne’s Case, that there were strict limits on how sheriffs could enter a person’s house. In a famous and much quoted decision from 1604, Coke declared that “the house of every one is to him as his castle and fortress as well for defense against injury and violence, as for his refuge” which over the years has become simplified to “a man’s home is his castle”. 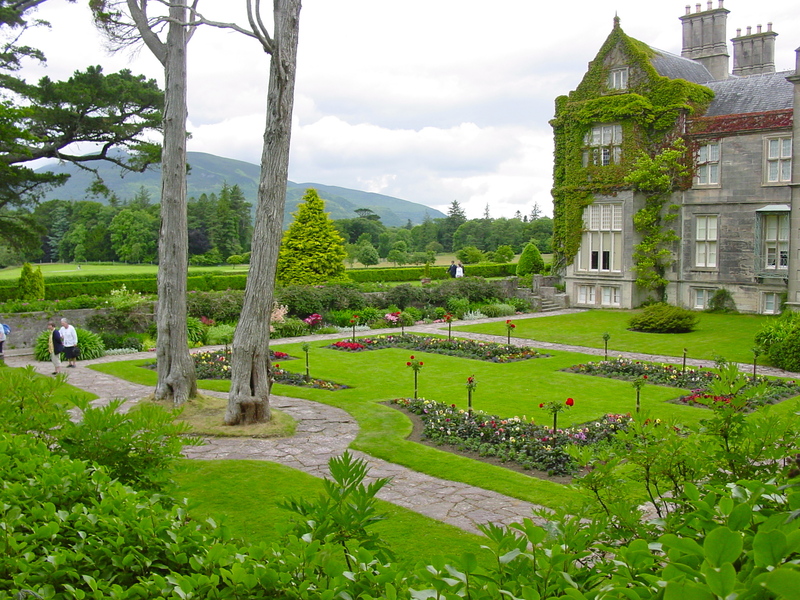 There is every shade of green in Ireland, so today I am going to share Muckross House with you! These are some of my favorite pictures of Yellow Green! 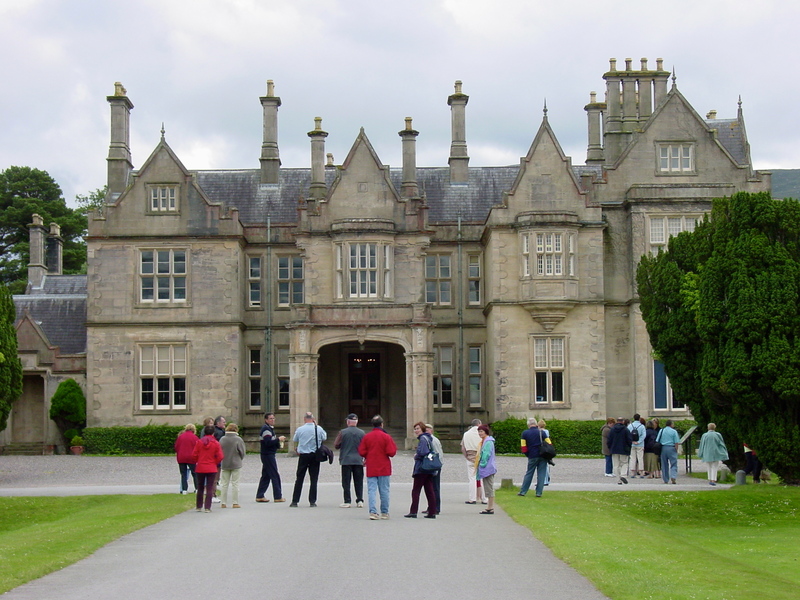 The sixty five roomed, Muckross Mansion, built in Tudor Style, was designed by Scottish architect, William Burn, and completed in 1843 for Henry Arthur Herbert and his wife, the watercolorist, Mary Balfour. Mary met Henry in Rome and married him in September, 1837. The estate was given to her, by her grandparents, for a wedding present. She loved the grounds, as it reminded her of the family home in Scotland. She brought a large dowry to the marriage equivalent to 3.28 million pounds in 2016, and she and Henry used part of this money to start construction on the house in 1839. She then worked at developing her talents as a watercolor artist, and with no formal training or formal art education, she displayed considerable skill. Less than twenty years later, in preparation for a visit from Queen Victoria in 1861, extensive improvements to the house and contents, were made for the Queen’s visit. Tapestries, mirrors, Persian carpets, silverware, musical instruments, linen, china and new servants’ uniforms are said to have been specially commissioned for the queen’s visit. Special curtains for the Dining Room were woven in Paris, also to please the Queen. The Queen’s apartments at Mockross were described by the local press as: “An entire section of apartments has been set aside for the royal family so that they do not need to communicate with the Herbert family when passing through halls. The Queen will live in privacy, and from her rooms can walk onto the delightful grounds, which will be kept private during her stay.” It was clear the Herberts thought the Royal couple and friends would stay awhile. The Queen, Prince Albert, and two of their children spent two nights there! Little time was spent with the Herbert family and on the last day, Queen Victoria took a carriage ride around the grounds with the Mrs. and then Queen Victoria and entourage went to the train to go elsewhere. As a farewell gift Mary gave the Queen two of her paintings of the landscape at Muckross. Moral of the story: never re-do your house to please someone else. If they want to come, they can come as you are. Don’t live above your means. The restorations resulted in huge financial difficulties for the Herbert family, which resulted in the sale of the mansion and the 11,000 acre estate. Henry died in 1866, (he probably never fathomed being in debt), and Mary with two of her daughters moved back to England, where she lived until 1871, and then moved to Lake Como, Italy, to continue her artwork. She died in London in 1893 and was buried next to her husband in the family vault near the Muckross estate. In 1899 the estate was bought by Arthur Guinness, who wanted to preserve the landscape. In 1911, the house and estate were sold to William Bowers Bourn, a wealthy Californian involved in mining. He and his wife passed the estate to their daughter, Maud and her husband Arthur Rose Vincent, as a wedding present. The couple lived there until the death of Maud in 1929. In 1932, her parents and her husband decided to give Muckross House and the 11,00 acre estate to the Irish people and it became the first National Park in the Republic of Ireland. 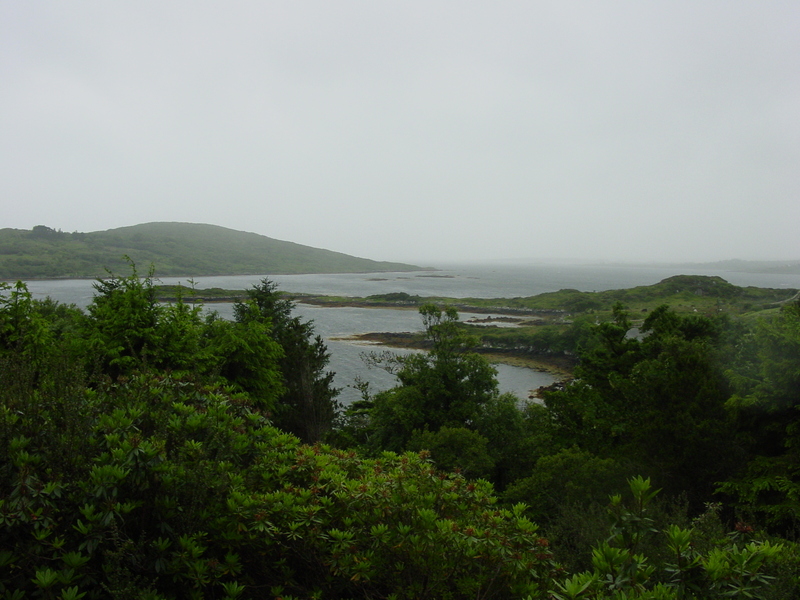 The house and grounds are now part of Killarney National Park. Yellow Green has been in the Crayola Collection since 1930. It is also known as Monster Green in the “Halloween Crayons” series. 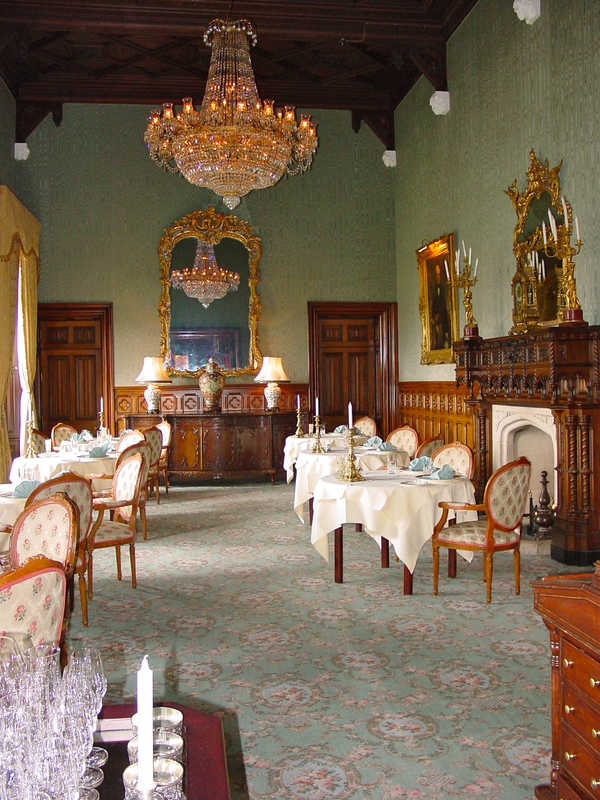 The Muckross House and estate turned out to be the green-eyed monster for the Herbert family, but a windfall for the people of Ireland! Today I thought I would post something for my favorite author ever, Maeve Binchy. She was the most popular Irish woman writer of all time and wrote books about the interactions of everyday people; just real people in real life. 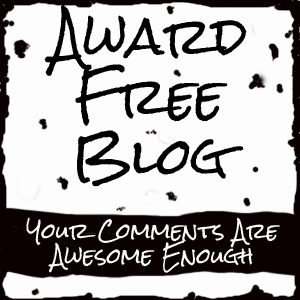 Maeve had advice about writing that I never forgot. Maeve passed away on July 30, 2012, but every year on St Patrick’s Day I write her a little something. Write like you talk, it is your voice. She also wrote scenes in her books that were conversations she had overheard. One day she was so engulfed in a conversation by two women on a bus that she actually got off the bus, where they did, and followed them so she could hear the end of the conversation! She was an excellent listener. I have been going through my emails and letters to file for family history and came across this email I sent to my sister on Wednesday, September 8th, 2010 at 5:31pm. I thought Maeve would enjoy it too. J, the November date is good. Will you be here a week? This weekend I made hamburger and hotdog buns, because we grilled out, cooked 21 servings of chili to put up and made two batches of pizza dough, because we ate pizza on Monday, and put up 20 more pounds of tomatoes. I am trying to get ready for winter. I slaved over the chili, soaking beans all night before hand and I have come to the conclusion that I don’t know beans about beans. After soaking all night they were still hard, but I thought no problem because the six pounds of meat, with onions, green peppers, chili powder, paprika, tomato sauce and tomatoes will all cook down in the pressure cooker and the beans will soften up too. Wrong, I pressured the chili and it smelled so good, then when that was done I added the beans and just cooked them down like the recipe said. For some reason because of the gas from the beans the recipe stated NOT to put them in the pressure cooker with the other ingredients. The chili cooked down to nothing and those beans were as hard as ever. SO then SB and I spent the rest of the day picking 3 pounds of cooked hard beans out of the chili!!!!!!!!!!! The news of the day: Ghost hunters every year on the anniversary of a train accident in the 1860’s near Statesville, NC meet up at 430am on the train trestle where the train went over the trestle and killed 35 people. Supposedly after the train accident a train conductor could be found on the track at this time of morning on the anniversary day, waving his lantern looking for the derailed train. So ghost hunters have been showing up for years to see the train’s conductor. This year was no exception. A group of ghost hunters started walking the track one day last week at 430am. Suddenly a real train came around the bend and since there is not a stop or anything else there, the conductor did not blow a whistle that the train was coming, nor was he looking for people on the track. The ghost hunters were caught off guard and were running for their lives on the trestle. Several jumped off the trestle when the train caught up to them and one man was run over by the train. He pushed his girlfriend off the trestle telling her “he loved her” and then was ran over. The others that jumped from the trestle are in intensive care with critical injuries, including the girl. Now for several days there have been stories in the newspaper about how this episode will now become one of the ghost hunters legends too and they will be looking for the guy that got ran over. Can you believe it? !!!!!!!!! The book for our book club meeting this month is “Serena” and I have never read a book that from the first page git-go, I disliked the main character. A new first! The relationship among the characters is not believable either. I am learning about the Smoky Mountain National Park developers versus the timber industry. The mountain families were run off their land or became lumber jacks making little to no money to timber the trees. The depression was going on and they lived horrible lives because they could so easily be replaced. I hope it gets better, although I am half way through it and so far I am not impressed. It is a chore to read and I have to have it read by next Wednesday. Well Maeve, I hope this email has given you a good laugh and something to write about today, because I know you are still writing and the stories up there might be a little too goodie-two-shoes for you! And, you might have a buzz in your head trying to strain to hear all the conversations down here! So I am making it easy for you! 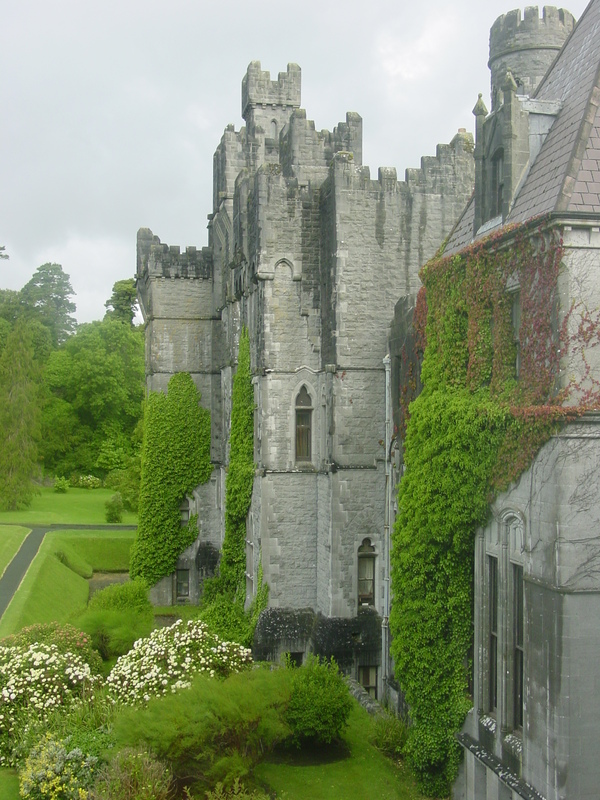 PS I also am sending you a photo I took at Ashford Castle in Cong, Ireland. It is still the greenest country in the world! 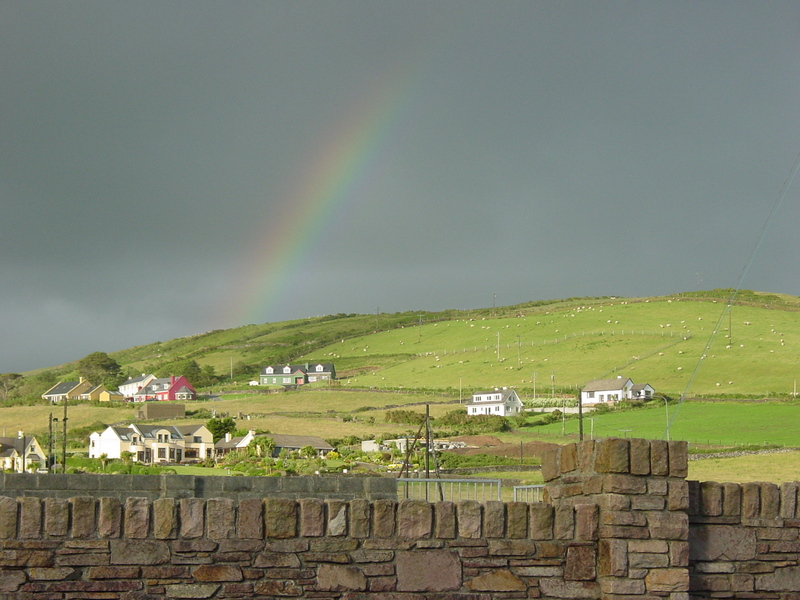 This is Part III in a series called Going Green to Ireland. 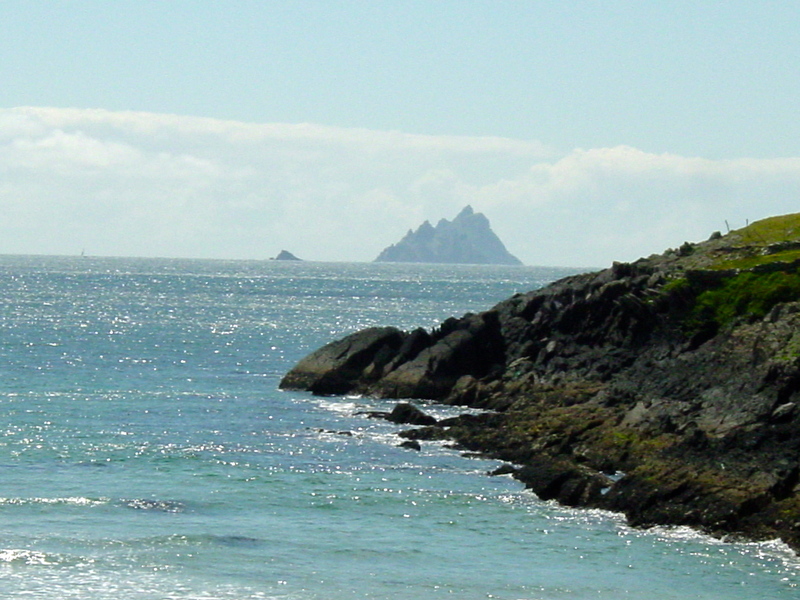 We are driving along the western coast of Ireland. Saying goodbye to Ashford Castle today we are driving to Kinvara, where we will be staying in the Cois Cuain B&B. 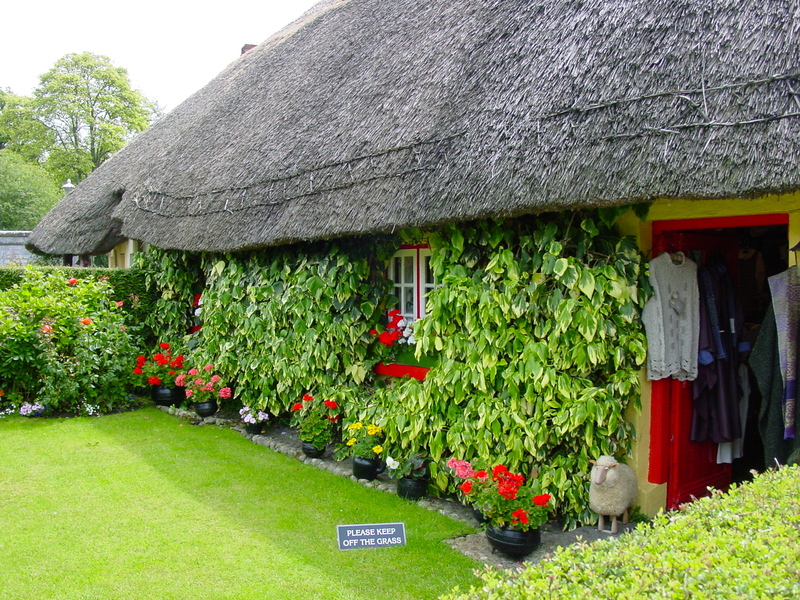 Mary Walsh greets us into her three bedroom cottage with a garden overlooking the square and harbor close to the Dunguaire Castle, a 16th-century tower house on the southeastern shore of Galway Bay. 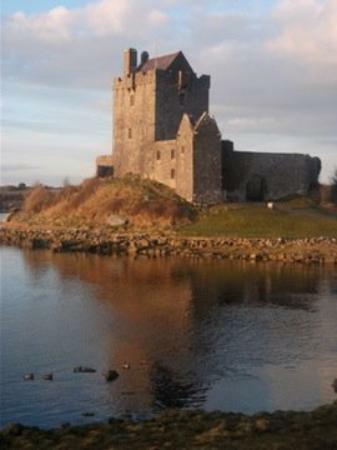 Dunguaire Castle is one of the most visited castles in Ireland. Tonight we will be attending a medieval feast of food, folk music and storytelling at the castle. Greeted by the butler, who gives us a brief history of the castle and a goblet of mead, we are led up the stairs to the Banquet Hall and seated on benches at long oak tables. I have learned another thing here this evening, even in the summer it is very cold in a stone castle. Bundle up! We enjoyed our evening meeting other travelers and participating in the feast. 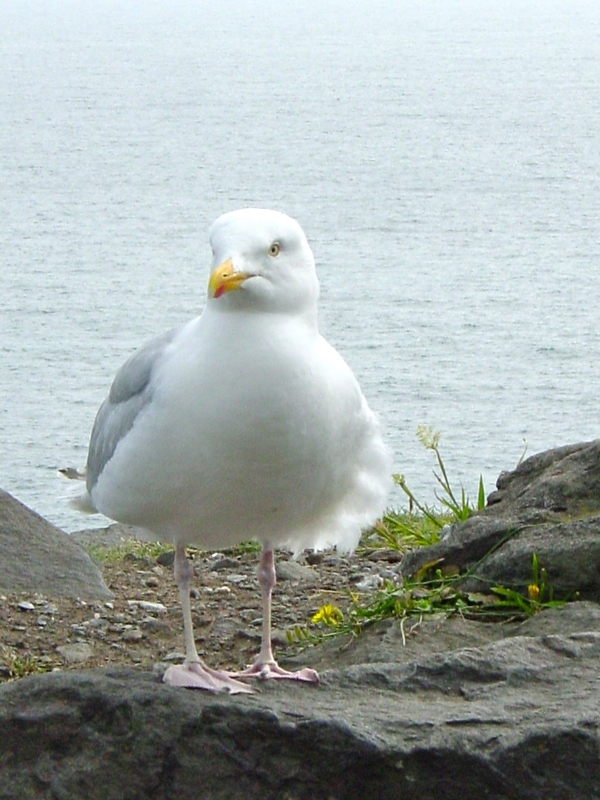 The next day, after Mary’s terrific breakfast, we head to the Cliffs of Moher. Facing gale winds and a torrential downpour we walk to the edge of the cliffs. On the way back to the car we stop to have hot chocolate in the tiny cliff restaurant to warm up! Making our way to Dingle we enjoy the peacefulness of the drive, just looking at the scenery; the potato fields separated by stone walls and fields of cows. 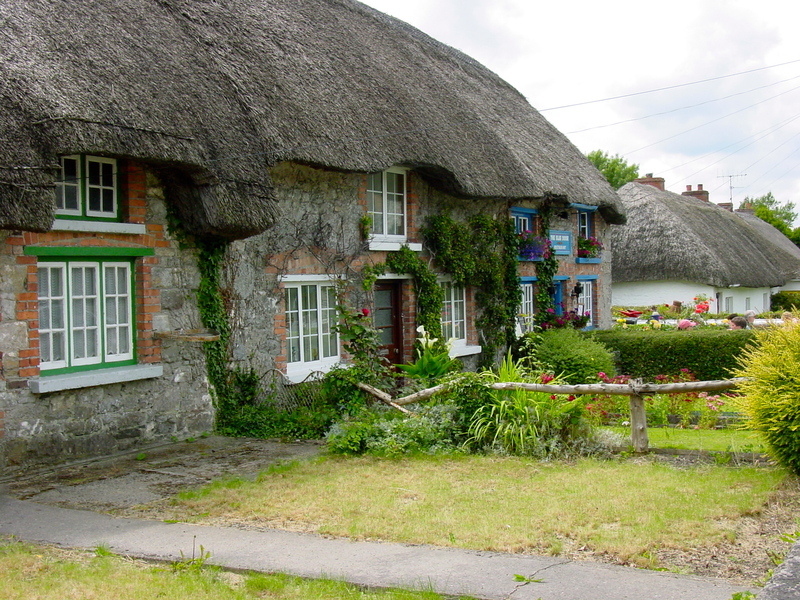 Going through Adare we stop and look in the old thatched cottages that are now shops. 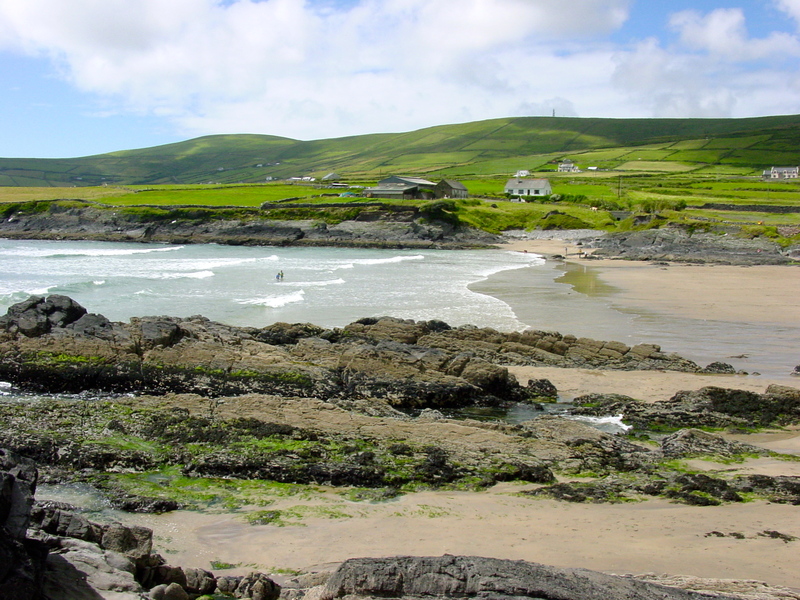 Dingle, is a fishing village on the mountainous finger of land that juts into the Atlantic Ocean that has supported various tribes and populations for almost 6,000 years. Because of the remote location and lack of specialized agriculture there is a large preservation of over 2,000 monuments from the Mesolithic Age onward. On our first full day in Dingle we signed up for a tour with Sciuird Archaeological Tours. (Screw-id) The tour is offered by Tim Collins (a retired Dingle police officer) and Michael, his son. A group of six ventured off in his van. 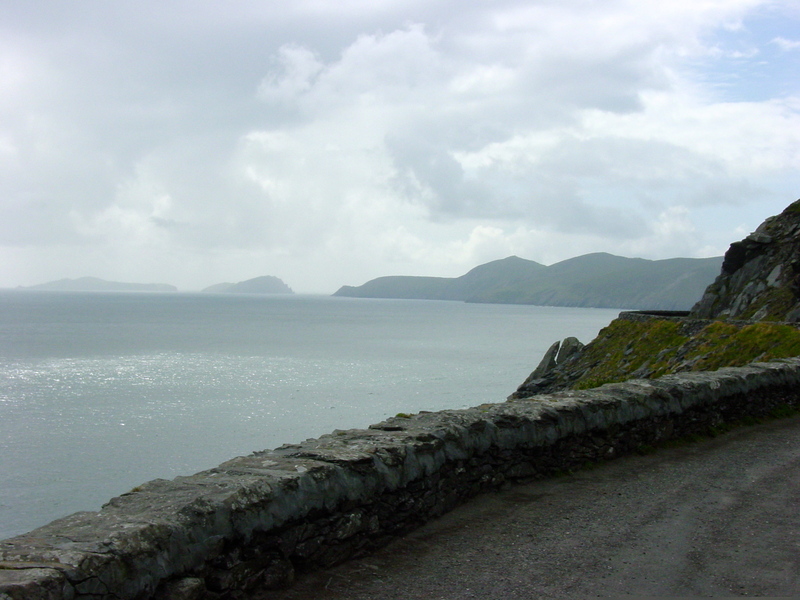 We were transported down tiny farm roads, (formerly cow paths) and over hedges and ridges to view mysterious stone tombs, sweeping seasides and long forgotten castles, all while Tim offered a commentary on the history of Dingle. Two tours are offered: west to Gallus Oratory and east to Minard Castle. We enjoyed both tours. Returning to Dingle, after the tours, we were delighted to find that St Mary’s Church was having a folk music concert that evening. Enthusiastic guests were toe-taping to Irish jigs and teary eyed with the slow haunting melodies. Afterwards, everyone to the pub! 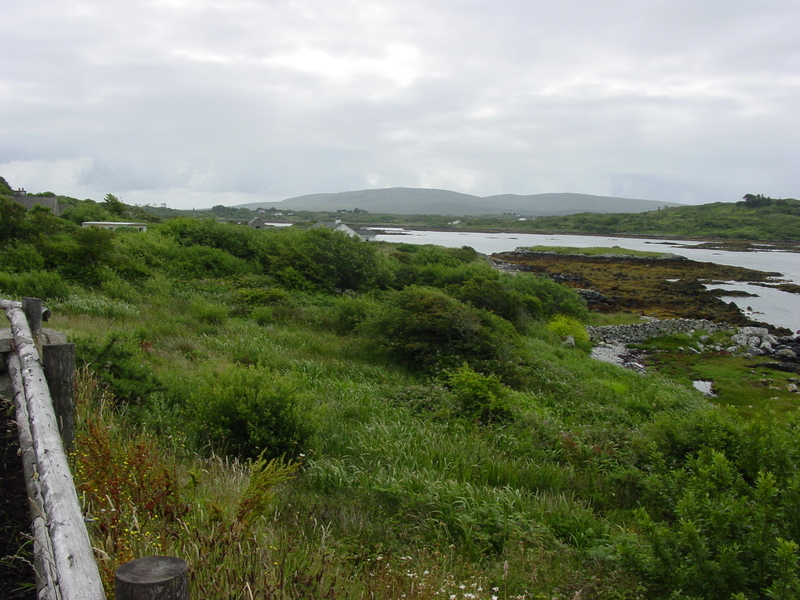 For more information about the Dunguaire Castle see: Several listings are on the internet under Dunguaire Castle. Be sure to watch my video to explore Ireland! This is Part II in the Going Green to Ireland series. Today we have made our way to Cong! Ashford Castle is a medieval castle built in 1228 by the Anglo-Norman de Burgo family. Over the centuries the castle has been expanded and turned into a five star luxury hotel near Cong on the Mayo/Galway border in Ireland, on the shore of Lake Corrib. In 2012 the hotel was voted the best resort in Ireland and the third best in Europe by Condé Nast Traveler. We arrived at the expansive wrought gates and drove down the long driveway to the castle at early dusk. In the shadows I felt just like a maiden returning to the manor. 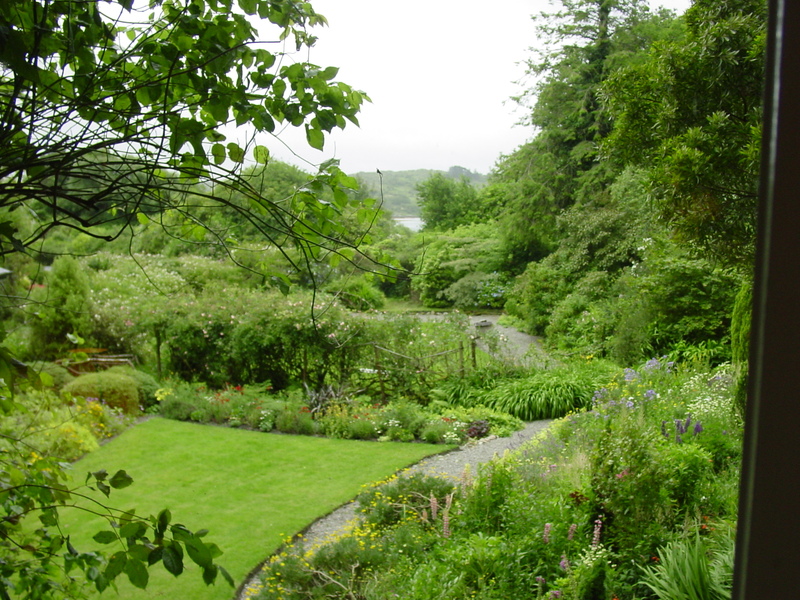 We were shown to a beautiful corner room of the hotel with views of the garden and Lake Carrib. The dining room was our next stop, just like something out of Downton Abbey, but on a much larger scale. It was tuxedos and white gloves for all the servers. Later, we topped off the evening in the castle pub, where the singing was about to begin. The Irish music was so captivating, and I had had just enough drink. The result: I was coerced to go onstage and sing. It was so much fun! However, there was a group in the rear of the pub who would rather talk than listen and/or sing. Before I got up for the sing-along with the entertainer, he had warned the inattentive group to keep it down. We began our song, reading the lyrics from a tele-prompter. Of course he had a beautiful voice with an Irish brogue, and I was happily trying to sing along and not make a fool of myself. During one of our subsequent songs, suddenly the entertainer stopped singing and the music stopped. He determined the guests at the rear table were not paying any attention and asked them to leave. So that was my stage debut and my last. But, it was great fun while it lasted! The next day we toured the Falconry School training area where falconry classes are taught at Ashford Castle, the oldest established falconry school in Ireland. A young American girl led the class and I watched and some participated in a session with a falcon and an owl, known as the Hawk Walk. 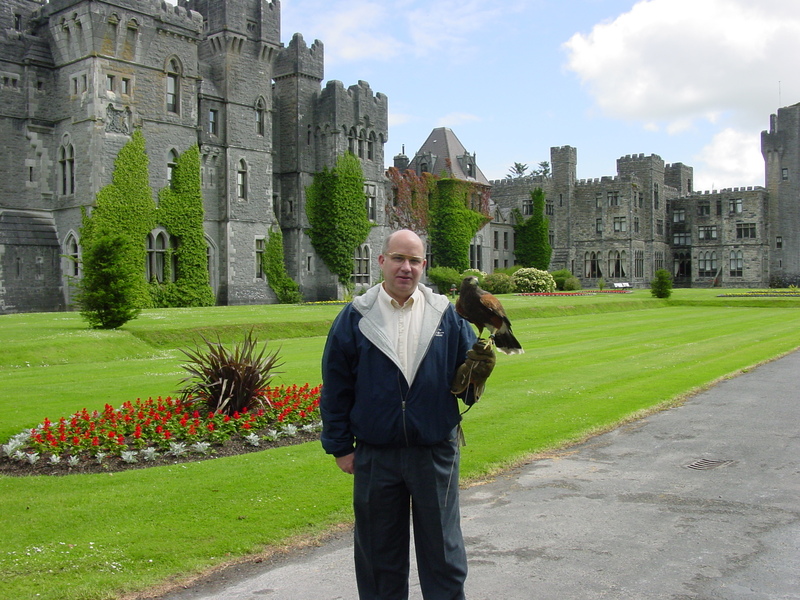 Falconry is an ancient art and said to be the oldest sport in the world. 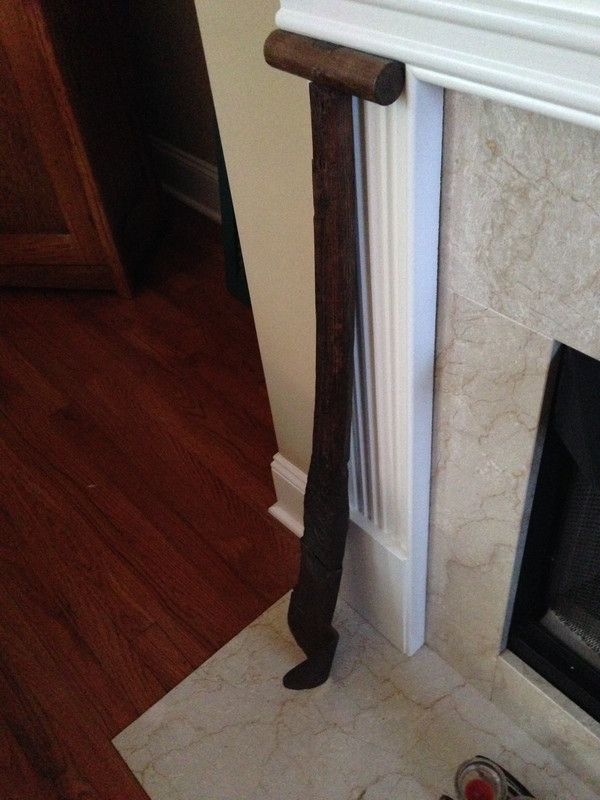 It was used as a way to catch food for yourself and your family. Harris Hawks, owls and falcons are brought from their cages and within minutes, with the bird sitting on your gloved hand you are ready for the walk and his performance. Our teacher explains the birds’ exceptional eyesight, speed and agility and how the bird will follow you from tree to tree and at the end return to your gloved hand. Everyone truly enjoyed the falconry class. Later in the day we walked more of the grounds of Ashford Castle. I was particularly interested in seeing the cottages and land marks filmed in the 1951 movie, The Quiet Man, with John Wayne and Maureen O’Hara. 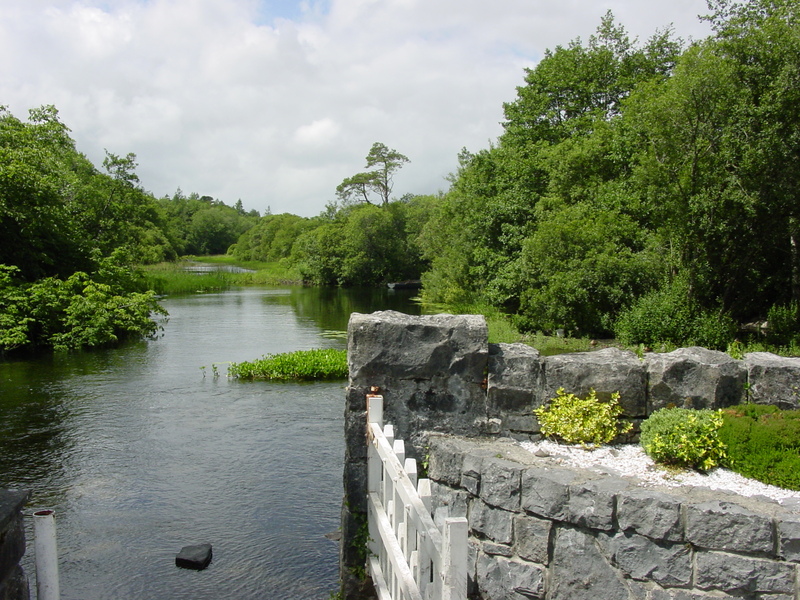 The grounds of Ashford Castle and nearby village of Cong, formed the backdrop for much of the action in the film. It’s March, time to watch The Quiet Man and listen to Bing! March is all about green so we are off to Ireland! On this adventure we want to see the Ireland we have seen in the movies. During this excursion we are renting a car to get around. I am driving……on the left side of the road…….. shifting gears with my left hand………the driving seat on the ride side of the car. Hmmmmm……this will be interesting. During car inspection in the Shannon Airport we notice the side-view mirror of the rental car is askew. Not to worry, it just seems loose and the attendant is not concerned. 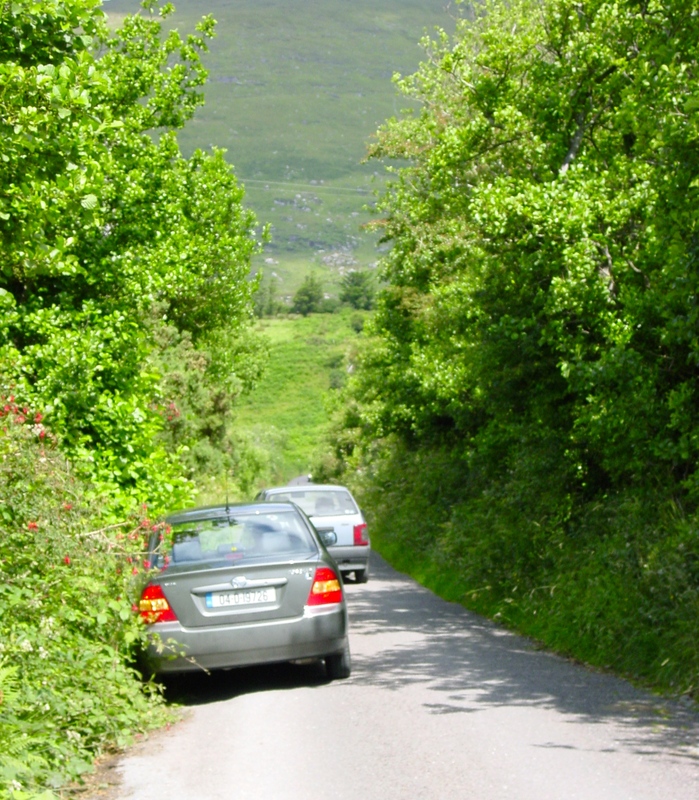 The road out of Shannon is a divided two lane highway that soon narrows to a smaller road, which narrows to a smaller road, which narrows to a smaller road…… At the tight spots, we face cars head on and inch by each other, very slowly, since there are no places to pull over. We are surrounded by trees or stone walls. Now I know why the side view mirrors are loose! They kiss as we pass each other! Before we know it we are on gravel roads surrounded by peat bogs or sheep grazing on the knolls. I have never seen a peat bog; a marsh without cattails, a wetland made up of dead and decaying vegetation. Moss, mud and an earth mixture are dug up and made into little bricks. Peat bricks are piled high along the gravel road to dry out. I have to get out and look at the bog closely. Stepping on it is like stepping on a sponge. How to they get those peat bricks so uniform and perfect in size? It is getting dark with a drizzle of rain as we pull into our first stop, Cashel House in Connemara. Cashel House overlooks the Cashel Bay on the west coast of Ireland. Designed by Geoffrey Emerson, the house was built in 1840 for Captain Thomas Hazell. Geoffrey Emerson is the great, great grandfather of the present owner. 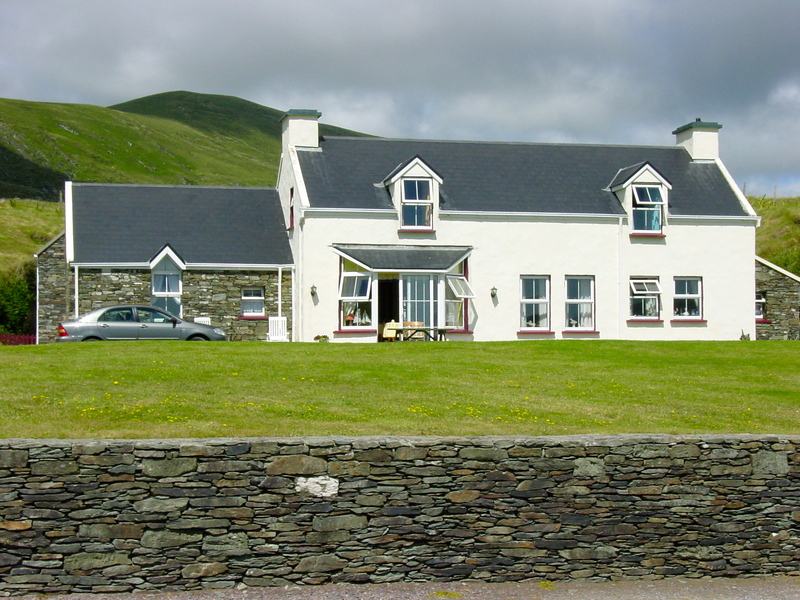 The country home was converted to a family run four star hotel in 1968 by the McEvilly family. 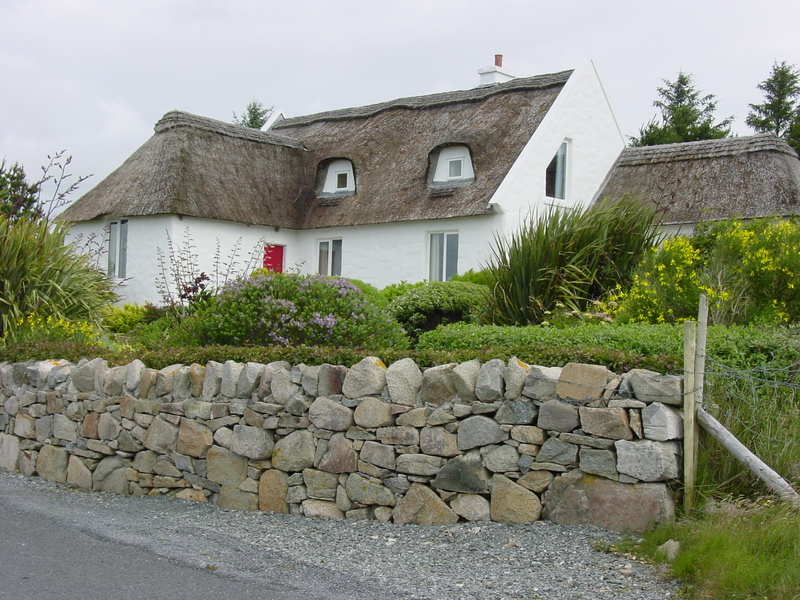 Situated in the heart of Connemara and nestled in 50 acres of gardens and woodland walks, it is perfect for artists or naturalists. Each of the 30 bedrooms and suites are decorated and furnished in antique furnishings presenting a charming chintzy country house style. The turf fires give a relaxing homey atmosphere. Here are those peat bricks again! There is a sweet smoky smell wafting from the chimneys and fireplaces. I learn that a single brick-shaped piece of peat turf burns for 1 hour. 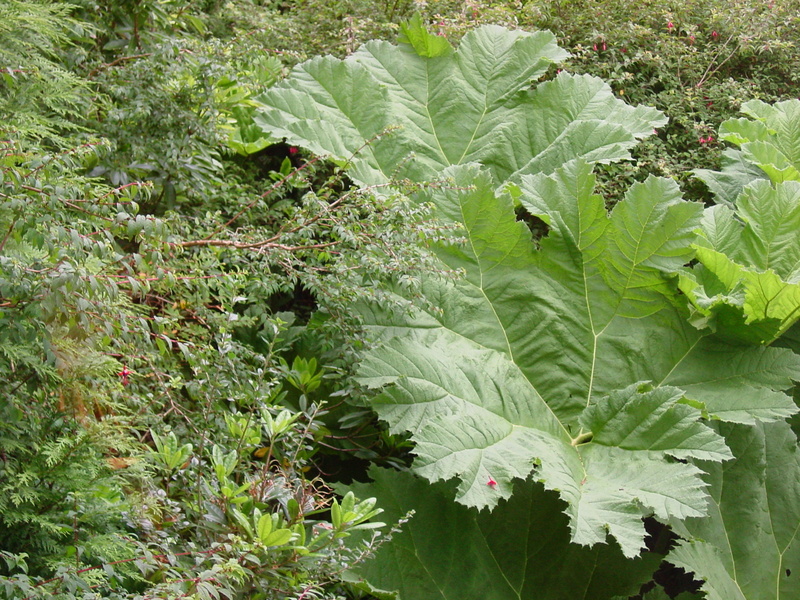 Bogs are sometimes called fens, mires or quagmires. Who knew? There are hundreds of bog bricks placed next to the entry fireplace at Cashel House. The glass conservatory overlooking the gardens is now an elegant dining room. It is so romantic! 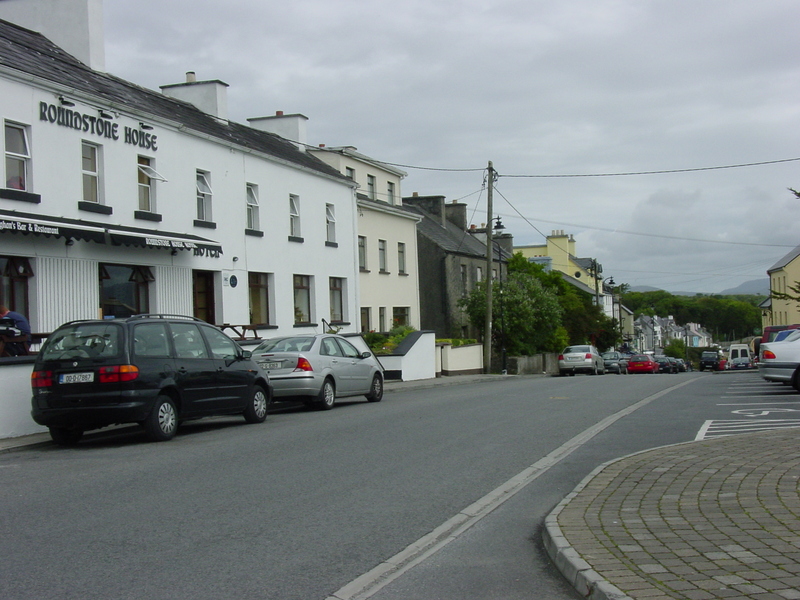 Unfortunately, we only spend one night here and we are up and off early the next morning to a quick visit through Clifden, then on past the Kylemore Abbey and on into Cong, our next stop. 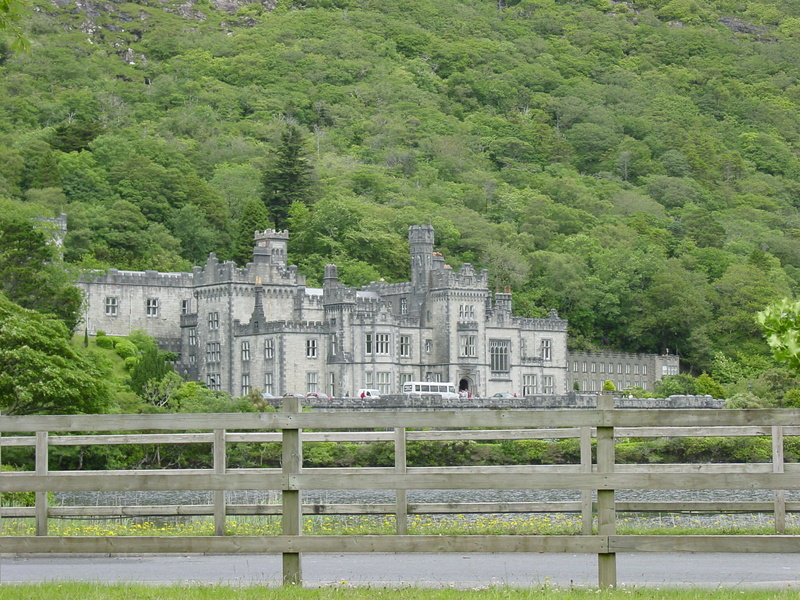 Kylemore Abbey and Castle, is home to a community of Benedictine nuns who came here in 1920 after the abby in Ypres, Belgium was destroyed in World War I. (I have also been to the battlefields around Ypres, so will talk more about that in the Belgium post) At Kylemore the nuns opened a world renowned boarding school for girls and began restoring the Abbey, Gothic Church and Victorian Walled Garden. It was pouring today so we drove on to Cong. PS: A few years after the first trip to Ireland SB was in an antique shop in Northern England when he came across this item. A Peat Spade!!!!! That’s how they get those bricks so perfect! What a gift for me!